for $434,630 with 6 bedrooms and 4 full baths, 1 half bath. This home was built in 1987 on a lot size of 2.2300 Acre(s). Amazing Opportunity !! Extended Family, In-laws or growing family look no more.Legal single family that can be used as Multi family. Main House offers a open dining, living room and kitchen concept. This Bright and Sunny space with vaulted ceilings helps it feel even bigger. Main house offers first floor laundry, Large Master bed with private bath and 2 additional good size bedrooms. 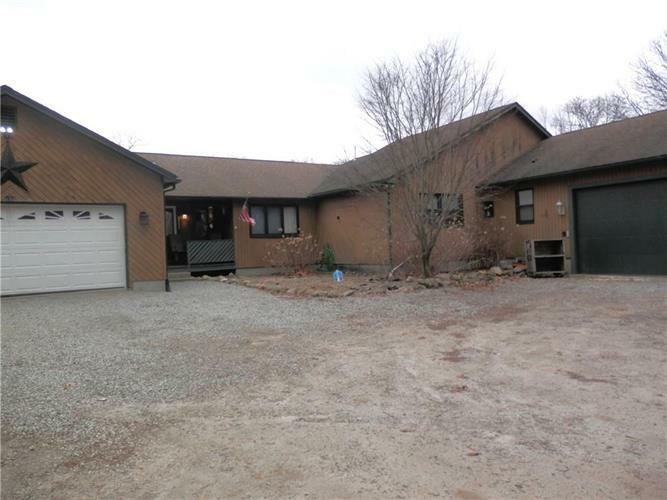 Main home has its own 2 car garage and separate basement.The legal, town approved, above grade, in law offers a large open kitchen, dining and living room. Sliders to a large deck over looking the backyard.The In-law offers a main floor bedroom and bath and 2 additional rooms along with another full bath in the lower lever. This unit is town approved with legal exits in the lower level. It has its own Private basement and separate garage. Property abutts 69 Acres of non buildable common area that will be deeded to the new buyer.